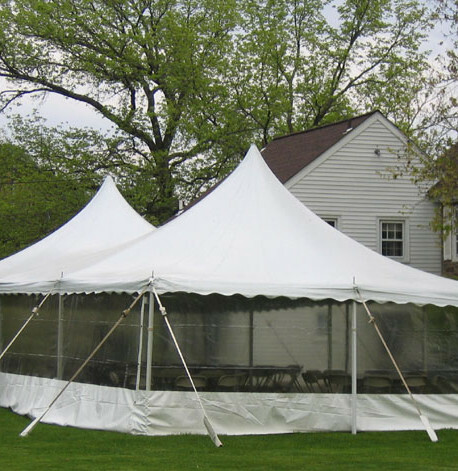 A Pole tent features a set of individual poles arranged beneath the fabric roof to support and define the shape of the structure. 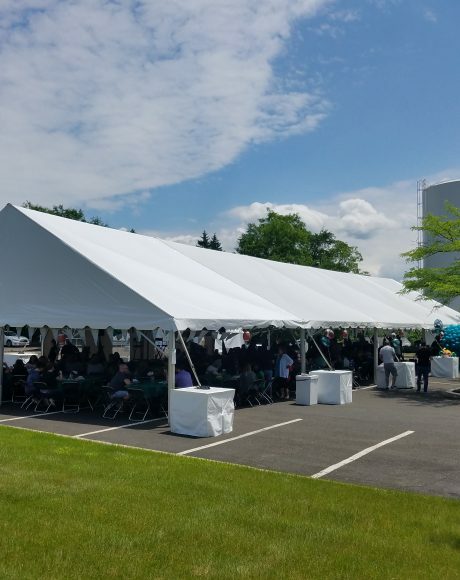 What a perfect way to to enjoy a celebration! 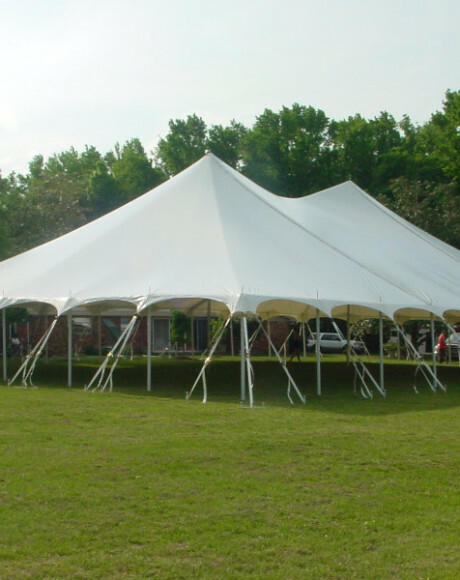 A 20′ wide pole tent is an economical way to have a memorable event and is ideal for small parties. 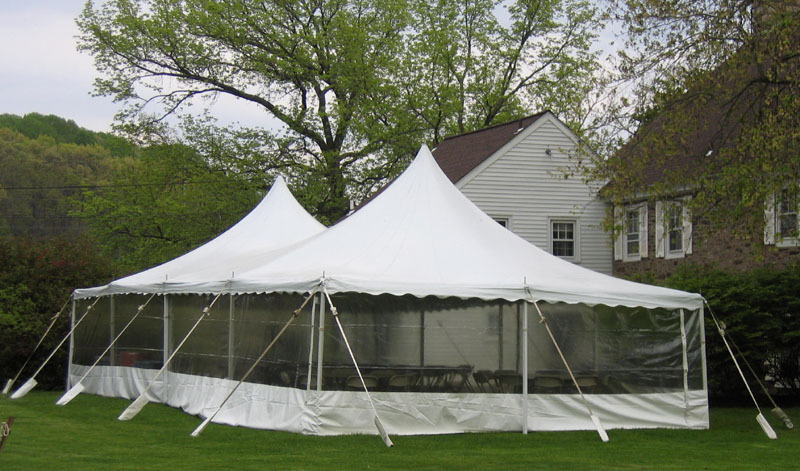 A Pole tent features a set of individual poles arranged beneath the fabric roof to support and define the shape of the structure. The fabric roof is tensioned over the poles and attached to ropes and/or cables at designated spots around the fabric’s edges. 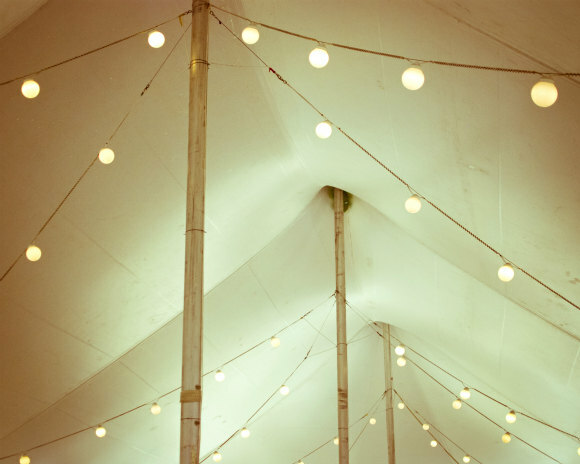 The ropes/cables are anchored to the ground using stakes around the perimeter of the tent. 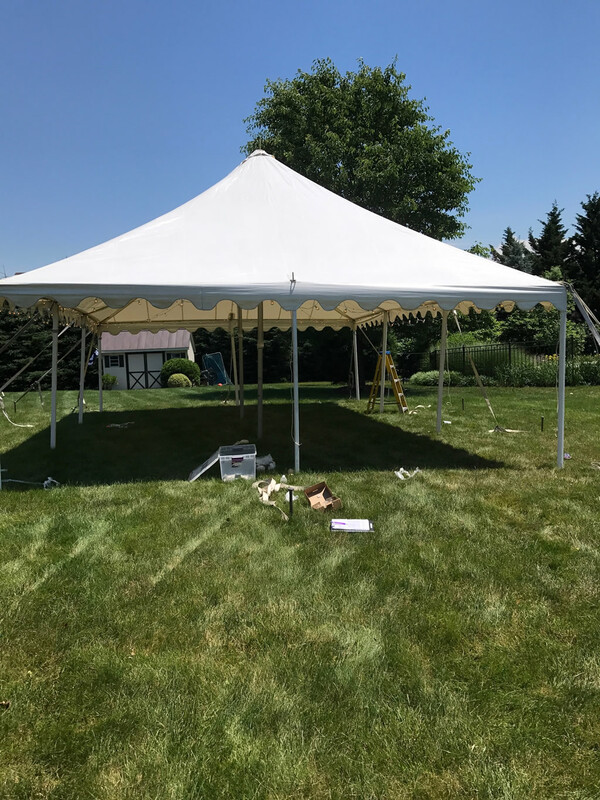 Center Poles as interior supports provide this style tent with endless decorating possibilities and enough space for any major event. PRICED ON REQUEST – Please contact our sales team to discuss your tenting needs. 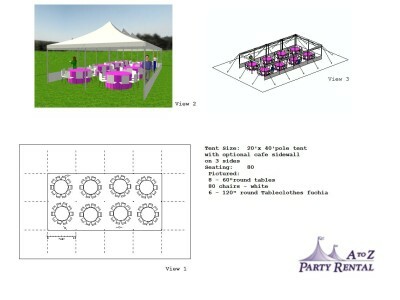 We can arrange for a site survey to see what tent can work best for your location.